When it comes to staple supplements, creatine monohydrate is up there in the top 3. In the early days, creatine monohydrate was the only creatine supplement that was available, but nowadays, there are now many different forms to choose from. Two of the most popular creatine supplements are two that we’ll be taking a more in depth look at right now – creatine monohydrate, and creatine hydrochloride, or creatine HCL for short. Here’s a look at creatine in general, it’s benefits and the main differences between the two supplements. Creatine is a molecule which can actually be synthesised by the human body, although it is also commonly found in many food items including eggs, red meat, and certain types of seafood. Creatine can be considered an amino acid, as it is comprised of multiple amino acids: L-arginine, L-methionine, and Glycine. What’s more, creatine is naturally found within virtually every single one of our cells, where it functions almost like a backup source of energy. Creatine functions by speeding up the natural process in which ATP, OR Adenosine Tri-Phosphate, is produced internally. Our cells use ATP as one of their primary sources of energy, so the more ATP that is present, the harder and more efficiently our cells can work. In particular, cells located within our muscles benefit the most from creatine, as that is where the vast majority of this compound is stored. 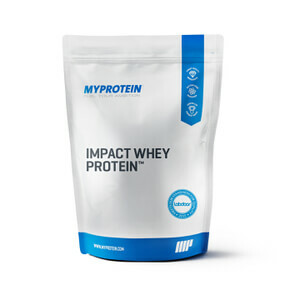 As you might expect then, the more creatine that is stored, the harder our muscles can work, which is why it is such a popular supplement amongst athletes and bodybuilders. Can Creatine Aid Muscle Growth? To begin with, the primary way in which creatine can assist with muscle growth is simply down to the fact that, as it helps to produce so much more ATP, the more ATP that is present, the harder the muscles will work in the gym, so your workouts will become much more efficient. Not only that, but creatine can also cause cells within the muscles to swell up and increase in volume, which can not only give the muscles a bigger and fuller look, but it will also assist with nutrient uptake, as the bigger they are, the more nutrients they can absorb, and the more efficient they will become in terms of recovery and repair post-workout. This also has a positive effect on nitrogen balances within the muscles. Creatine HCL, or creatine Hydrochloride, is a creatine which has been molecularly bound with hydrochloric acid to enhance its solubility and overall absorption rates. The idea behind this is by binding it with hydrochloric acid, once it reaches the stomach, it is creatine in its most basic form, where it becomes much more water soluble. Therefore, not only will it be broken down much quicker and easier, but more of it will also be able to be absorbed by the muscle cells. 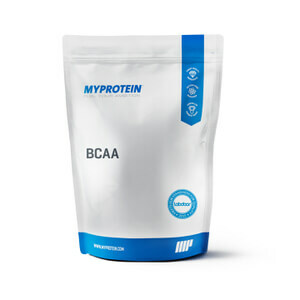 The attached HCL molecule enhances the stability of the creatine and ensures that it can be much more easily broken down and absorbed by the body. For these reasons, there is no loading phase required, although some may argue that creatine monohydrate does not even require a loading phase. What is for sure however, is that, as the creatine is absorbed more quickly and in such higher dosages, so water retention is not an issue. Creatine monohydrate is considered to be the most prevalent and popular form of creatine on the market. Creatine monohydrate is known in the bodybuilding world as a staple for muscle growth and recovery, as well as athletic performance in the process. In order to receive maximum benefit, optimal dosages have been found to be around 5g per day, with some preferring to take it before they train, and some preferring to take it after. Some even choose to perform a loading phase where they consume around 20g per day, with the intention of saturating the muscles with creatine to begin with. The jury’s still out as to whether or not a loading phase is required, so ideally you should do what works best for you. In reality, neither form of creatine are definitely better than the other, as some people respond differently to certain supplements than others. Whilst creatine HCL does appear to provide less detrimental side effects compared with creatine monohydrate, it may be a different experience for individuals. The differences are on the cards – yet the best advice here would be to try both, and see how you respond to each one!